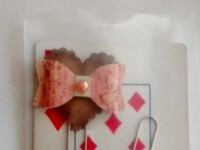 Cute clips for your planner, appointment book, book marks or just to keep your papers together. Cute satin butterfly on a 2" clip and a wooden heart with butterfly on a 1 1/4" clip. 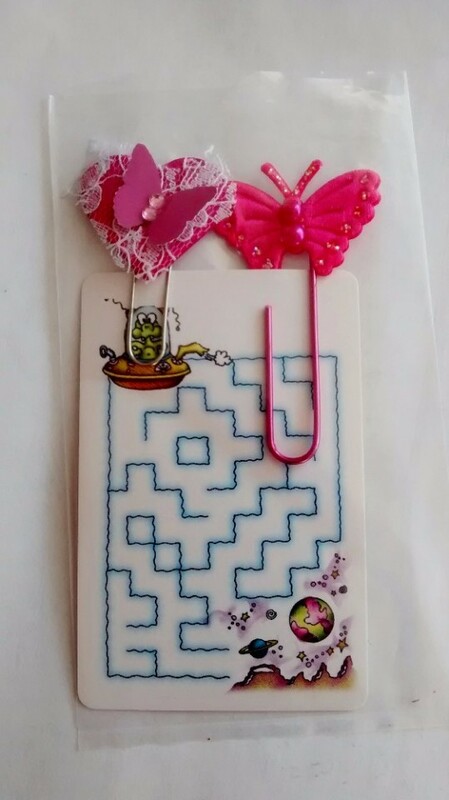 They are displayed on a maze card with the solution on the back. Great for a child to learn how to figure things out. Subject to prior sale. Contact me for shipping information.